Can I Tell How Much I'll Get Back By Looking at My W-2s? If you're trying to figure out your tax refund by looking at your W-2 form alone, you can come up with a rough estimate in a few ways. However, you'll have a much clearer idea of your tax refund after you go through the process of filing your federal income tax return to make sure you don't miss any opportunities to get some of your withheld taxes back. Your W-2 form only provides you with one part of the larger picture. 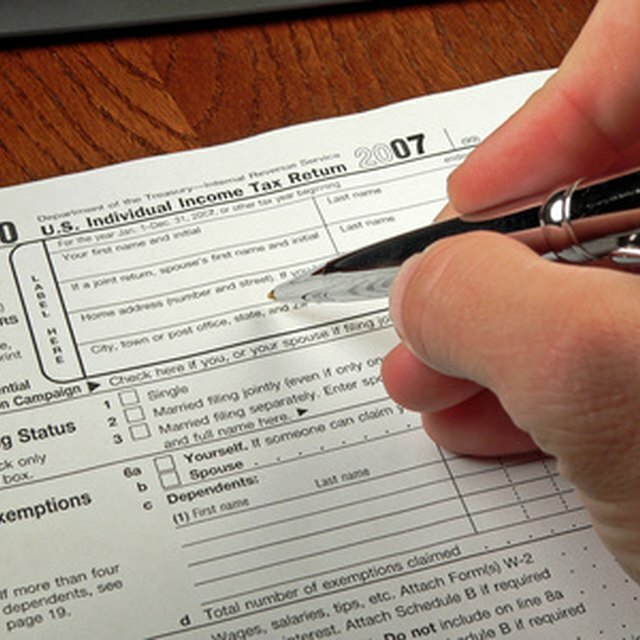 Your W-2 is only one component of your annual tax filing. By combining the information you provide on your W-2 and Form 1040, however, you should be able to estimate whether or not you will be receiving a tax refund and how large it is likely to be. You can perform a rough estimate of your tax return by using an online income tax calculator. You can find one by doing a quick online search. You need to provide the information from your W-2 on income, taxes withheld and filing status, among other information. The calculators typically allow you to enter only a few adjustments to your income, such as income from interest, dividends and capital gains. You can also enter a few deductions and credits for things like retirement plan contributions, mortgage interest or charitable donations, although you won't be able to capture every available credit or deduction. Some calculators don't have an option for taking the standard deduction. When you hit the "calculate" button, you'll receive an estimate of the amount you either owe or have coming as a refund. If your income and other financial characteristics are relatively the same this year as last year, you can review last year's return and make a reasonable guess as to your potential refund for this year. However, this doesn't factor in any changes that may have taken place, such as a salary increase, change in income tax brackets, fluctuations in investment income, or new tax credits and deductions that may have become effective for the current tax year. Can You Get More Money Back on IRS Taxes Than You Paid In? What Can I Do if I Have Negative Taxable Income? Does the Mortgage Deduction Lower My AGI? When you use IRS Form 1040, you'll have several reminders of different opportunities to reduce your taxable income. These include deductions for contributions you've made to a Health Savings or retirement plan, moving expenses in some cases, student loan interest, or payments for health insurance if you're self-employed. Taking the time to research various tax credits and deductions can reward you handsomely. You can reduce what you owe by subtracting tax credits. Some give you a refund, only up to the amount of taxes you owe. Refundable tax credits, however, can reduce the tax you owe to less than zero, and you'll receive a tax refund. For example, if you have spent any money on education, regardless of your age, you may qualify to take the Lifetime Learning credit. You can take this credit for more than one tax year and get up to $2,000 back if you spend at least $10,000 taking courses that provide you with new or improved job skills.